With the H'El on Earth storyline coming up in the Superman titles in November, and the solicitations making the extent of the story a little clearer today, it seems as though it'll be essentially a Kryptonian Civil War taking place on Earth, perhaps setting the stage for an increased importance of the Fortress of Solitude or the Phantom Zone at the end of the day. Leaving aside the fact that Kryptonian-on-Kryptonian crime is something we've probably already seen more of in the recent past (from World of New Krypton to the first few issues of Superman and Supergirl) than any sane person thinks we need to, H'El is described as "A creature of unknown Kryptonian origin, more powerful than Superman, smarter than Supergirl and more lethal than Superboy." 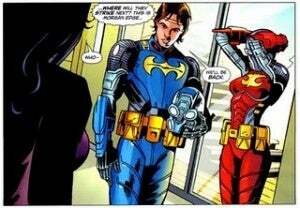 And it made us think: What other Kryptonians would we like to see reinterpreted for the New 52? Doomsday is the product of genetic tinkering by Kryptonian scientsists, and it left an impression on him. He may be technically a Kryptonian himself, but in reality he hates his fellow Kryptonians quite passionately and has what amounts to a biological imperative to wipe them out when he stumbles across them. 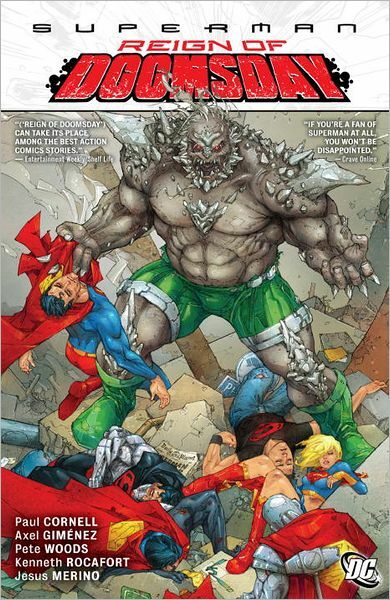 That was an oddly-specific power when he first appeared, and Superman was the only Kryptonian on Earth, but as more and more of them started popping up, Doomsday found himself at the center of a number of their conflicts. Why he's not coming: Doomsday is a character best used sparingly; his "smash everything" approach to combat is great for big, action-oriented set pieces but it's hard to build a compelling story around. 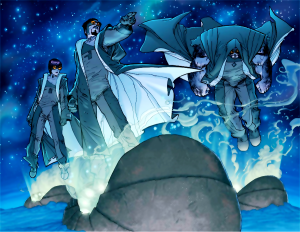 And even if it's no longer canon during the New 52, he has appeared at least twice in recent memory: once as a throwaway villain at the start of the World of New Krypton storyline and again shortly after it ended, as the villain in the last big Superman/Supergirl/Superboy crossover, Reign of Doomsday. He also recently appeared during the Flashpoint story, Booster Gold: Turbulence, which was written and drawn by Doomsday's creator (and Booster Gold's), Dan Jurgens. That story is collected as part of the World of Flashpoint: Superman paperback. Superman's best-known Kryptonian adversary, Zod has increasingly become a big part of the mythology since Geoff Johns, who worships at the altar of Richard Donner and his Superman films from the late '70s and early '80s, has taken a more substantial role in charting Superman's course. As the villain in Superman II, as well as a major player in stories like Superman: Last Son (by Johns and Donner) and even the final few seasons of Smallville, he's an omnipresent force in Superman's mythology and is probably the second most familiar villain Superman has for non-readers (the first, obviously, being Lex Luthor). Why he's not coming: Zod is the central antagonist in the forthcoming Henry Cavill interpretation of the Superman mythology, Man of Steel. DC will likely want to keep him on the back burner for a while so that around the time of the film's release they can have a big Zod-centric story in the hopes of drawing some eyes from the theaters. You don't believe us? Just look at what Marvel did when Amazing Spider-Man was coming. 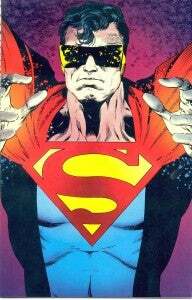 A living weapon created by Superman's ancestors, The Eradicator is committed to maintaining Krypton's genetic purity. Having survived the planet's destruction, that basically meant getting messed up in Superman's life all the time, and occasionally trying to "save" him by terraforming Earth into a New Krypton and forcing Superman to rule it. He's also been a kind of hero or anti-hero over the years, playing an important role in the Reign of the Supermen story and later joining up with The Outsiders. It sounds now as though H'El is adapting aspects of The Eradicator's mission, as Supergirl reportedly "finds herself agreeing with his pro-Krypton/anti-Earth plans" during the upcoming crossover. Why he's not coming: Besides the fact that he might be H'El, might have possessed H'El or might otherwise be playing a stealth role in the story, there's the fact that he's been singled out as a character that DC isn't particularly interested in exploring. Last year, when Dan Jurgens was introduced at New York Comic-Con as the new writer/artist on Superman, the "mission statement" to create new characters for the New 52 was laid out, and it was specifically laid out that nobody really wants to read yet another Eradicator story. Still, more recently (at San Diego Comic-Con International, for example), it's been said he's back on the table. So who knows? 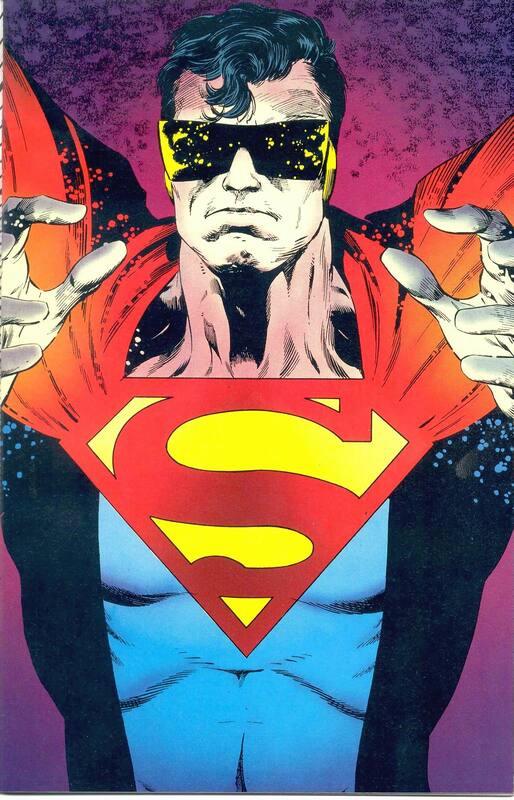 One of the most memorable creations of the Geoff Johns run on Superman, Chris Kent was for all intents and purposes the adoptive son of Superman and Lois Lane, before his storyline was dropped like a hot potato (it's in good company, though; the Lois and Clark marriage suffered the same fate shortly thereafter). In-story, he was the biological son of Zod and Ursa, one of the Phantom Zone criminals who served under him, before the Kents took him in to give him a fairer shot at life and to make him less of a threat to the world should he escape. How such a character could be handled in the world of the New 52--where Superman and Lois aren't married, and Jonathan and Martha Kent are dead--is an interesting question, and one that seems like it's worth exploring. Why he's not coming: Everyone hates Superman Returns. The character served a particular purpose in the comics, which was to introduce a super-powered kid to Superman's custody shortly after they had done the same in Superman Returns, a loving tribute to Donner's Superman films that simply failed to work for audiences and critics. In the case of Superman Returns, the child was the biological son of Superman and Lois, conceived during Superman II before the Man of Steel wiped Lois' memory of their encounter and then left the planet for a number of years. Yeah, that's probably why people didn't exactly warm to Chris in the comics, either. Krypto is Superman's dog, last seen perishing on Krypton, although there have been a number of hints that he managed to survive the planet's destruction in the Phantom Zone. 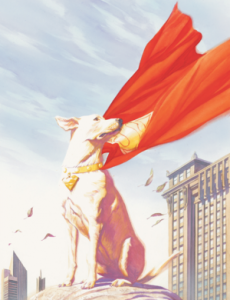 We don't actually particularly want to see Krypto, but we know he's got a dedicated fan base and that many of our readers are among it. Why he's not coming: Becuase they're going to save that for the end of the story. Again, we're thinking this story ends with an increased importance for the Phantom Zone, probably to build up the later Zod story. Expect to see the dog come out of the Phantom Zone around the same time you see H'El exiled into it.